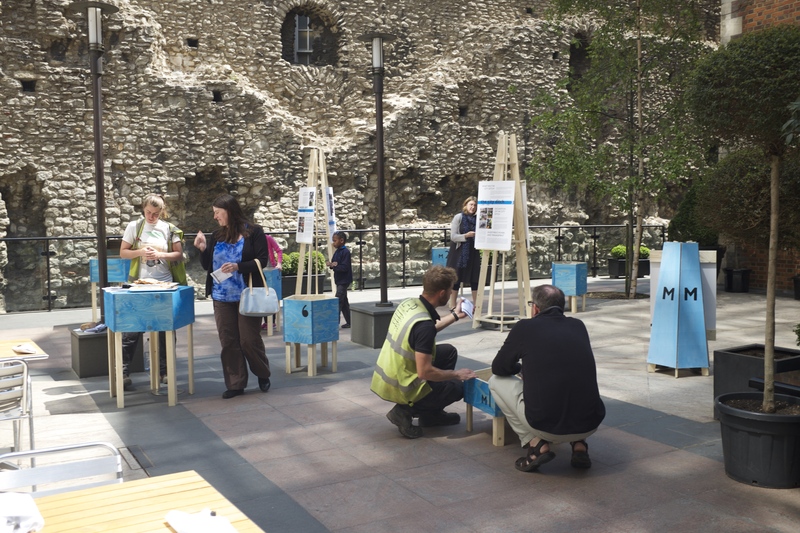 CITE AS: Flo Laino, "100 Minories Pop Up Museum Round Up," in 100 Minories, July 31, 2015, https://100minories.lparchaeology.com/100-minories-pop-up-museum-round-up/ [Date Accessed: April 23, 2019]. 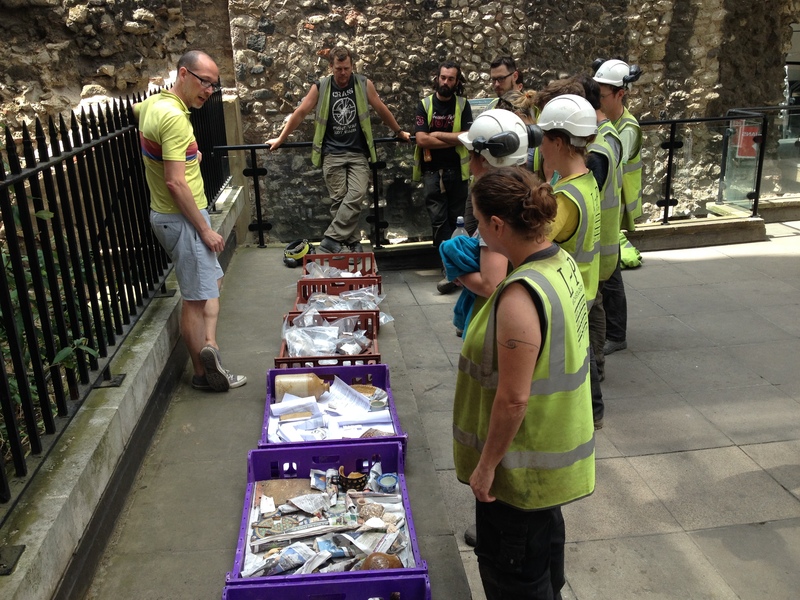 Between 17th June – 18th July 2015, the 100 Minories team held five ‘Pop Up’ museums, culminating in a two day bonanza on the 17th-18th July to coincide with the Festival of Archaeology and indeed the end of the excavation. 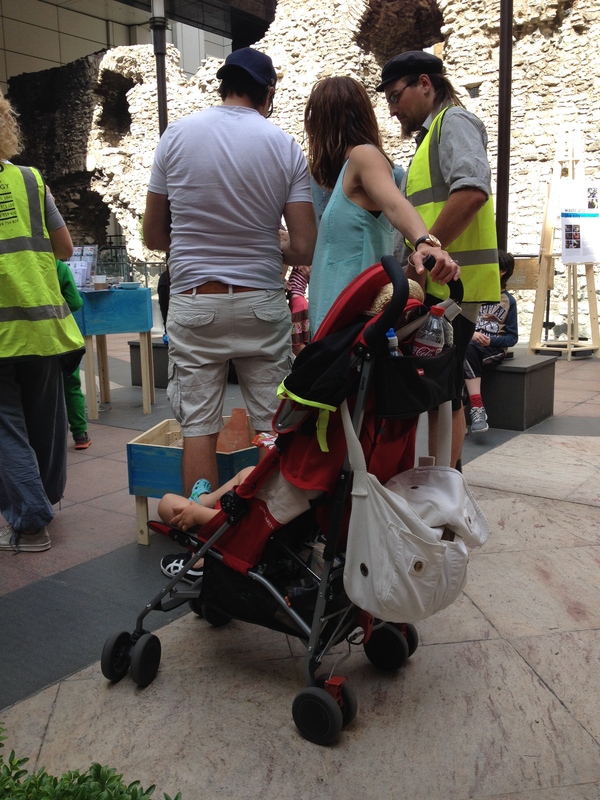 Click here to find out what Pop Up Museums are and the ethos behind them. This article is a quick thank you to all those who visited the Pop Up Museum in the last month, with a total of 780 visitors stopping by! 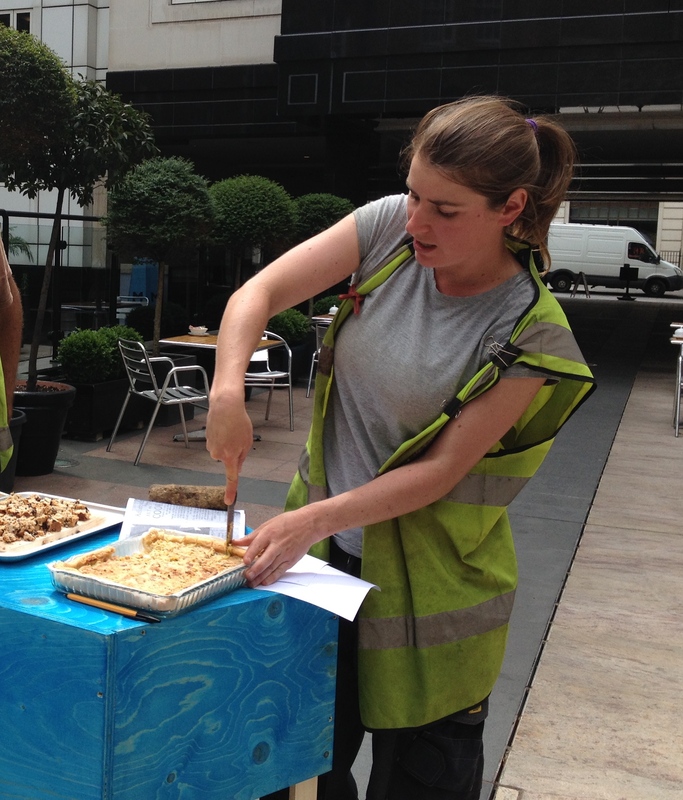 Here are some more photos from over the course of the events, for all those who missed it. 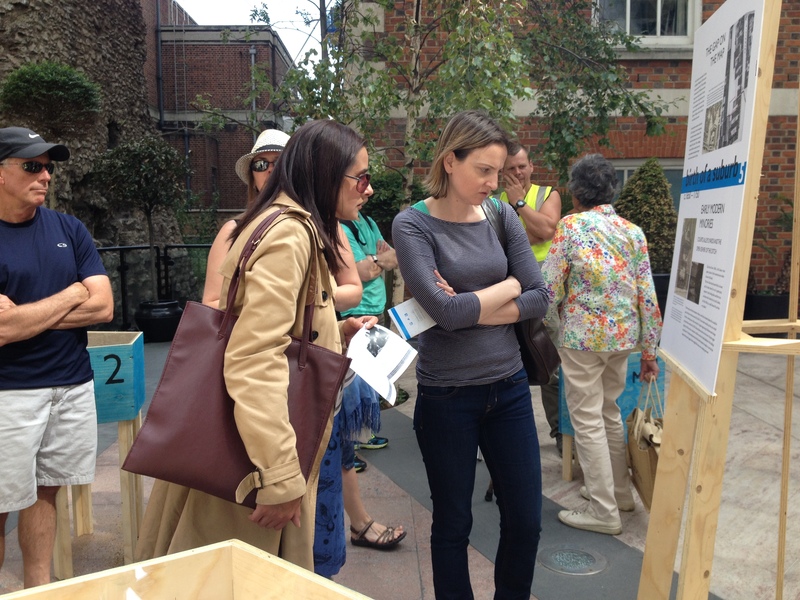 Pop Up Museum – planning with Nigel Jeffries. 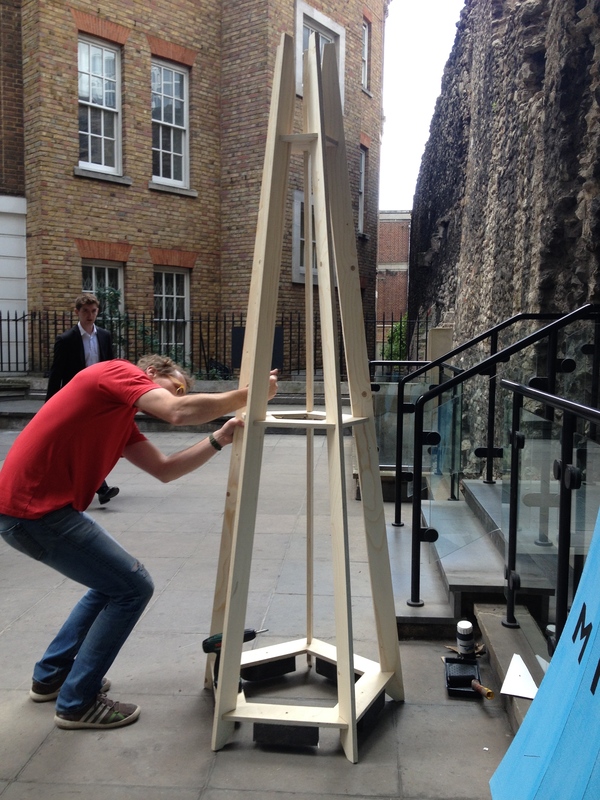 MiPUM architect Carsten Jungfer constructing the Pop Up Museum. 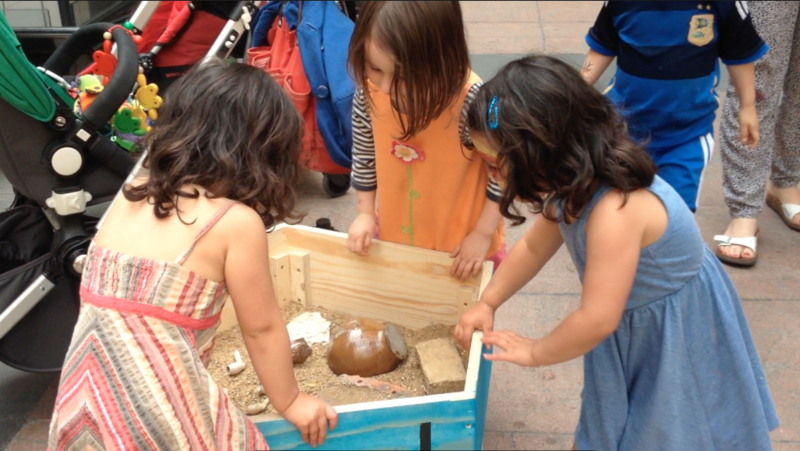 Pop Up Museum in action. 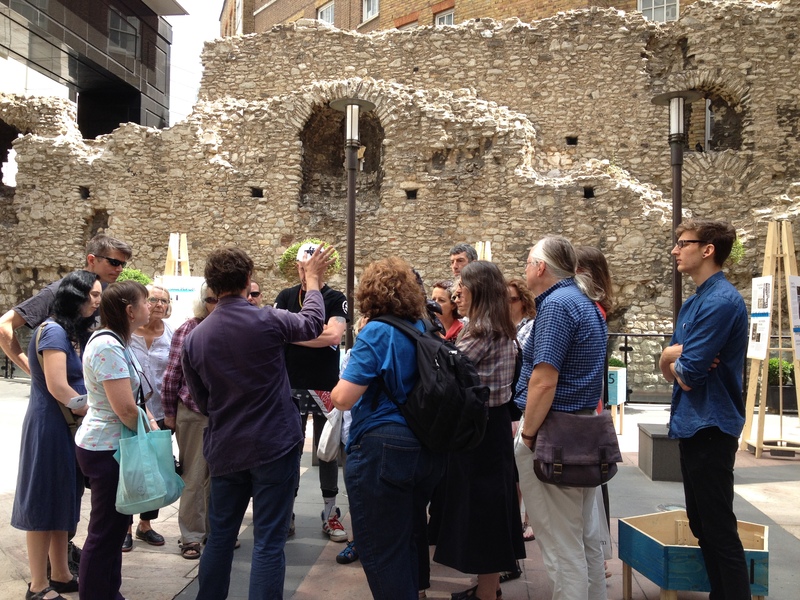 Pop Up Museum tour lead by 100 Minories Project Manager, Guy Hunt. 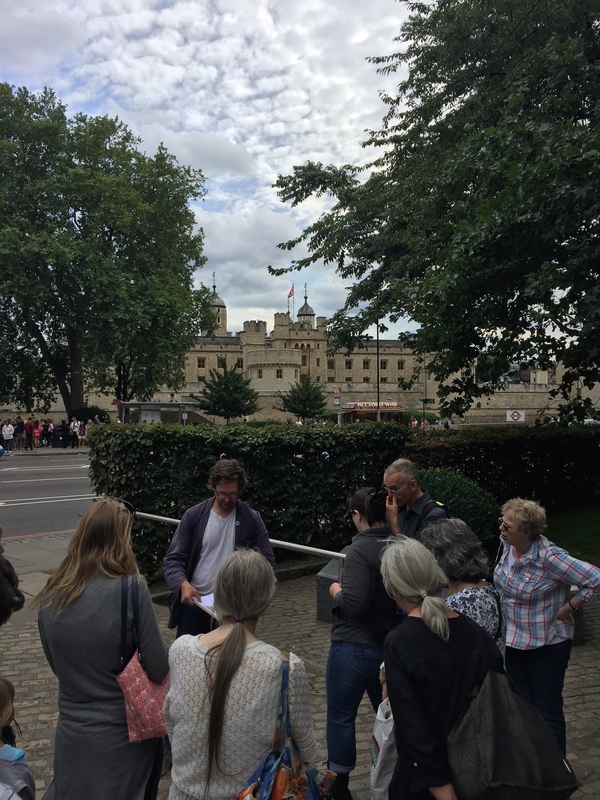 Pop Up Museum tour stop – The Circus. 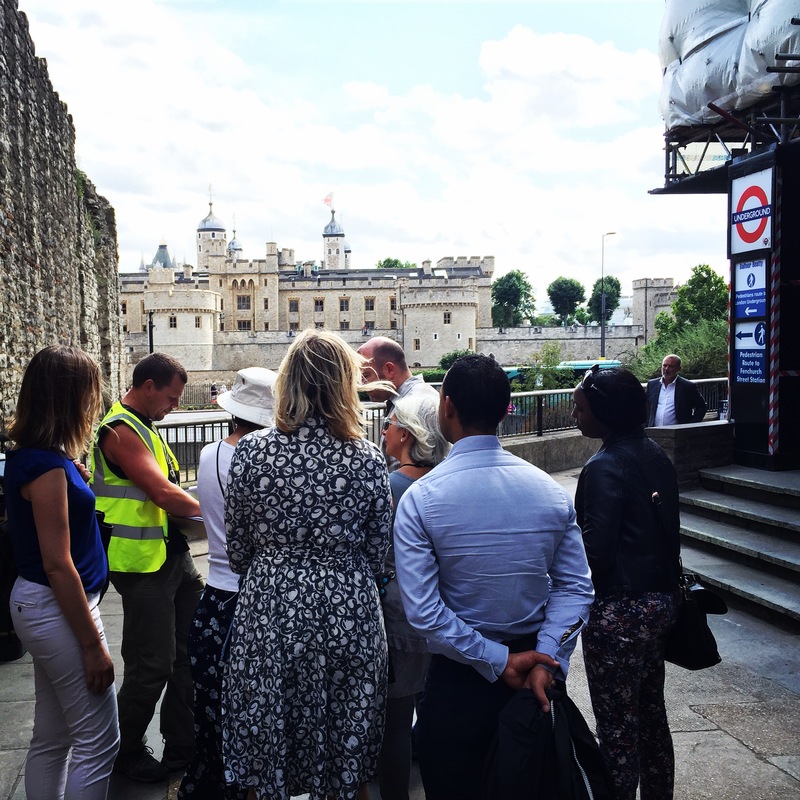 Pop Up Museum tour stop led by Project Officer, Chiz Harward – The Postern Gate. 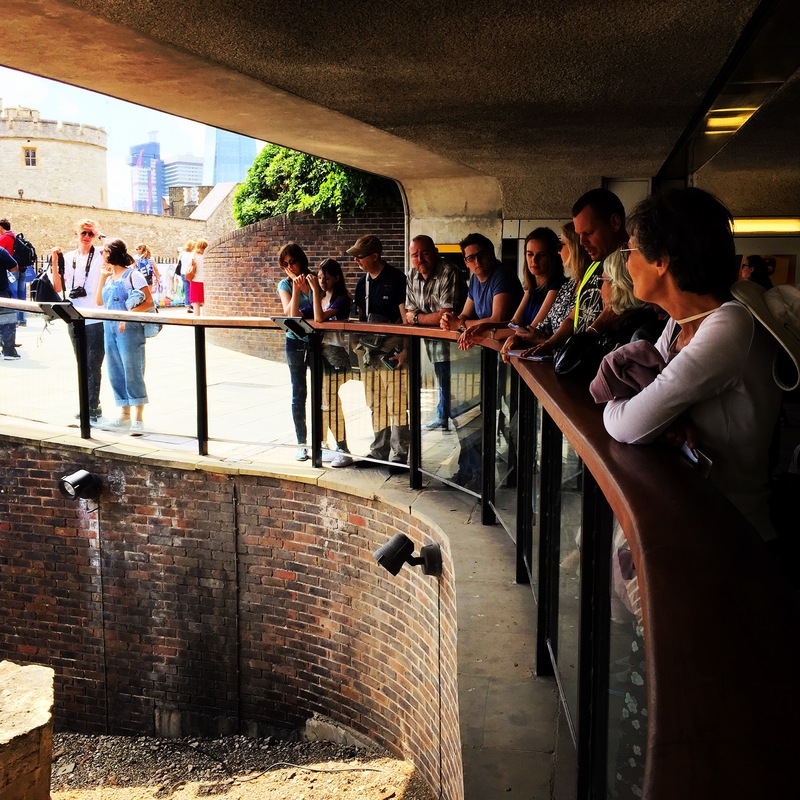 Pop Up Museum tour stop – London City Wall. 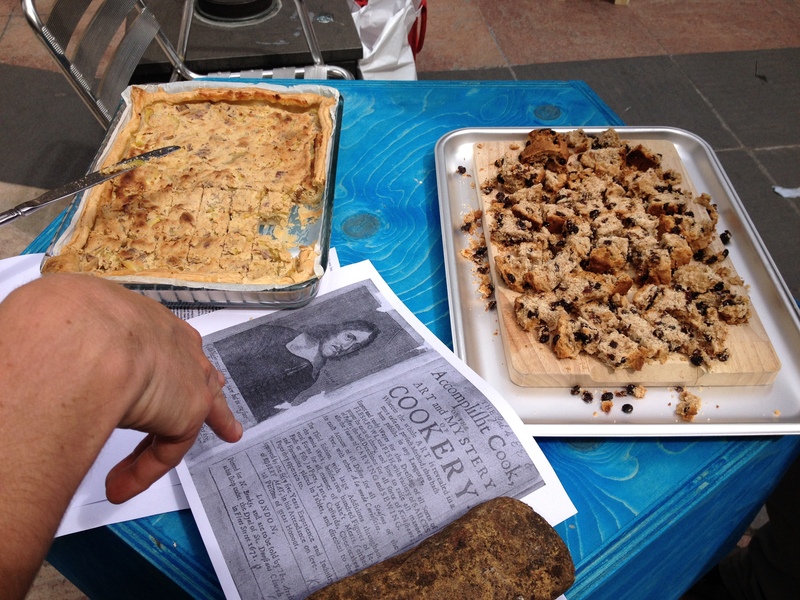 Archaeologist Audrey Charvet – historic food display from Robert Mays’ 17th Century Cookbook ‘The Art and Mystery of Cookery’. Packing up the Pop Up Museum for another day!